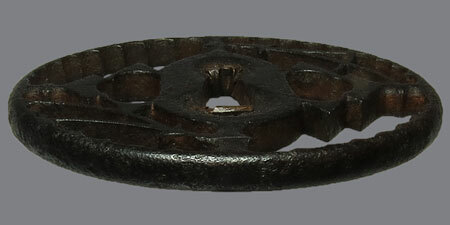 Iron tsuba with complex design. 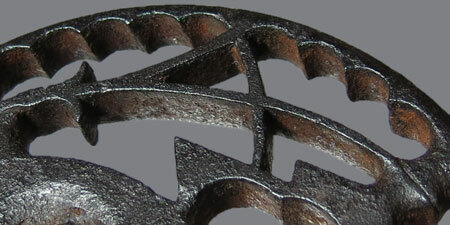 The pattern on the inside of the rim represents the many petals of the chrysanthemum. 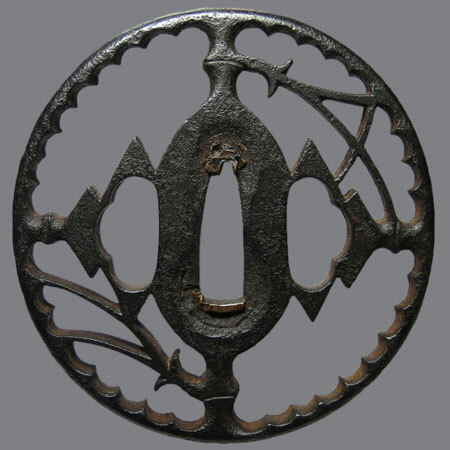 The seppa dai is secured to the rim with bamboo stems, while the hitsu ana are half quatrefoil shapes cut within double matsukawabishi. Two pine needles adorn diagonal quadrants. Pine needles in Japan are symbol of loyalty and fidelity. Often they appear as one broken and one normal. That signify that even in death (the broken needle) you are not alone, but rather paired with another. This could be your pairing with your lord, your daimyo, your superior, your wife, and those underneath you. 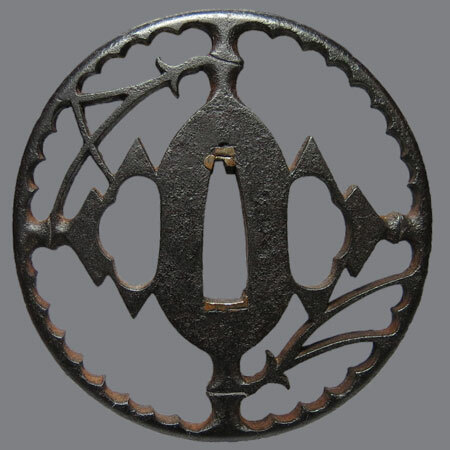 Tsuba from Skip Holbrook collection. Nagamaru gata, maru mimi; 6,9 х 6,7 x 0,5 cm.